Accompanied by the world premiere of a new score written and performed by multi-instrumentalist David Allison. 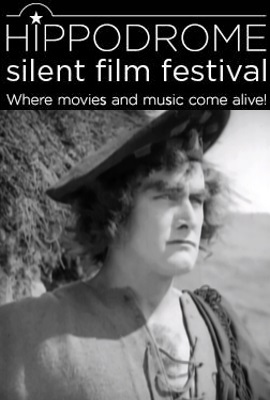 We are delighted to open this year’s HippFest with the 1922 rarely screened silent Rob Roy. This impressive biopic of one of Scotland’s best-known outlaws, stars David Hawthorne in full tartan kilt and tammy and tells the story of the MacGregors in the early 18th century. Shot entirely on location in the Trossachs and nearby Stirling Castle, whilst the 10th Duke of Argyll gave permission to the production to film on his estates, the film makes liberal use of Scots for the intertitles (“dinnae fash yersel”) and includes epic fight scenes, with over 800 men of the Argyll and Sutherland Highlanders enlisted as extras in a dramatic battle. This rare screening will be accompanied by a world premiere of a new commission from David Allison whose score for The Last of the Mohicans (HippFest 2018) received rave reviews.